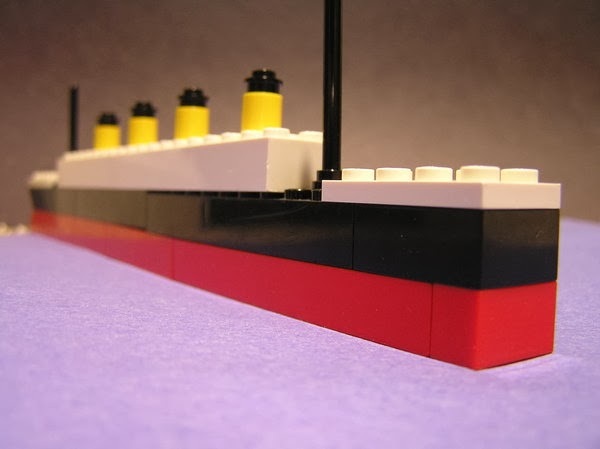 Kids love the story of the Titanic. A big boat crashes into a giant piece of ice and sinks to the bottom of the ocean. It really is an incredible story. My favourite piece of creative work done about the Titanic is an upbeat campfire song that sarcastically retells the tale. It is a interactive, toe-tapping tune that kids will quickly learn and sing-along too. It's also really easy to play on the guitar. It is a perfect song for bathtime. Just grab a plastic boat and an ice cube and you're the parent of the year! Below are the lyrics of the condensed version I sing with my family, with my revisions (in strikethrough) to make it more kid friendly. Here is the tune of the song for reference. Enjoy!